This is a rectangular Prof. Morse Cigar porcelain sign. 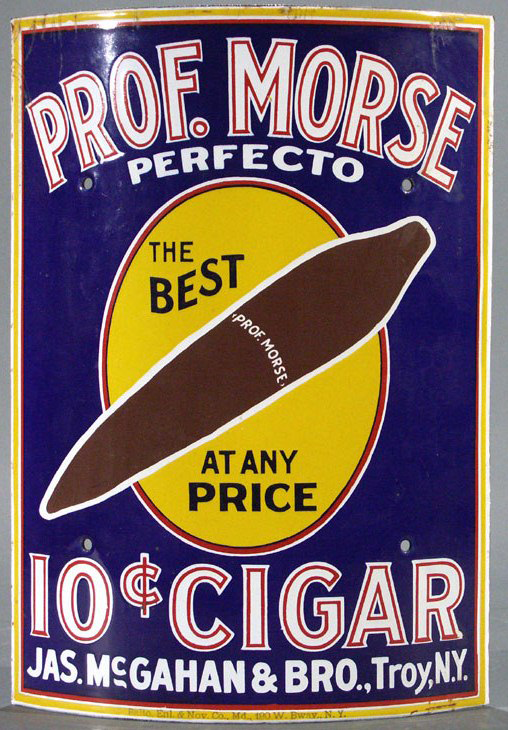 This particular Prof. Morse Cigar sign is predominantly blue and yellow with red and white text. It reads, “Prof. Morse Perfecto, The Best At Any Price, 10 Cents Cigar, Jas. McGahan & Bro., Troy, N.Y.” and features a brown cigar in the center.